10 April 2016. Fiona had a chance to chat with Damon Gameau from That Sugar Film at the Bring Back the Fat event in Sydney. We discussed what happened to Damon during his experiment in That Sugar Film, a calorie is not a calorie, school programs and sugar. Click here. 16 October 2018. Sick of contradicting opinions on how to eat healthy. Who is influencing our food guidelines anyway. Fiona chatted to Chris IIsley on 6PR 882 Perth Tonight. 10 October. 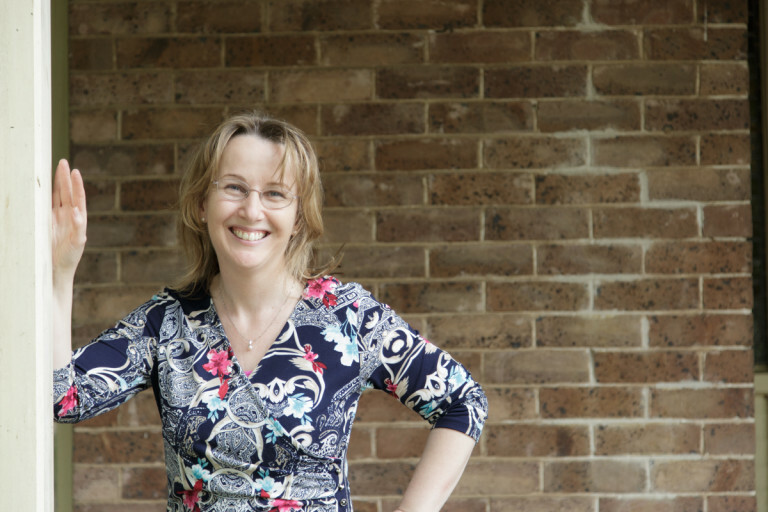 The Impact that Junk Food can have on your Mental Health Fiona chatted to Stephen Cenatiempo on Triple M.
23 February 2018. Why Losing Weight won’t necessarily solve your health problems. Fiona chatted to Chris IIsley on 6PR 882 Perth Tonight about weight loss, health and a new attitude to what health looks like, health can come in many sizes. 7 January 2018. Is Breakfast the Most Important part of the Day? Fiona chatted to Clinton Maynard and Murray Wilton on Talking Lifestyle Breakfast. 31 December 2017. Do Crash Diets Work? Fiona chatted to Clinton Maynard and Angela Bishop on Talking Lifestyle Breakfast. 13 October 2017. One Meal Per Day and Intermittent Fasting, is it Safe? 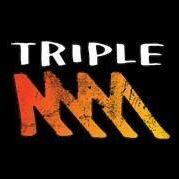 Fiona chatted to Polly Polanski on the Triple M Network. 29 September 2017. Fat Shaming. Fiona chatted to Chris IIsley on 6PR 882 Perth Tonight about fat shaming. Does fat shaming help people lose weight? Or does it make the problem worse? The answer seems obvious, but the issue is more complex than most people understand. 8 August 2017. Fiona chatted to John and Garry on Talking Lifestyle Breakfast about Food labeling. 26 July 2017. False info on kids snacks. 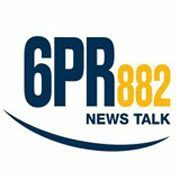 Fiona chatted to Chris IIsley on 6PR 882 Perth Tonight about food labelling and confusion about so called “healthy” foods. 2 June 2017. It’s time to rethink our relationship with sugar. Fiona chatted to John and Garry on Talking Lifestyle Breakfast about That Sugar Film’s “6 Spoons in June” initiative. 12 May 2017. Which foods lift or drop your libido? Fiona dropped into the studio to chat about lifestyle and nutritional factors that effect your relationship – energy, libido and mood…… on Talking Relationships, Talking Lifestyle with Jonathan Coleman and Melissa Ferrari. 25 April 2017. Fiona chatted to Nick Bennett and Kayley Harris on the Daily Drive on Talking Lifestyle about a new study that suggests feeding your kids when they cry can lead to them becoming emotional eaters down the track. 29 March 2017. Fiona chatted to Steve Price and Andrew Bolt on 2GB 873 AM about Andrew and Steve’s weight loss, breakfast vs non breakfast and fasting. The segment starts at 22 minutes. 29 March 2017. Fiona chatted to Rob Duckworth on Staying Well on Talking Lifestyle about How to monitor your sugar intake. 22 March 2017. Fiona chatted to Ed Phillips on Afternoons on Talking Lifestyle about Multivitamins, busting some myths. 18 March 2017. Fiona chatted to Sally Obermeder on the Better Living Show, Talking Lifestyle about sugar and fruit, how much is too much? 2 March 2017. Fiona chatted to Verity Hughes from Triple M’s Breakfast Show about recent media on DNA testing of Subway chicken sandwiches showing that they are only (approx) 50% chicken. 17 February 2017. Fiona chatted to Ed Phillips on the Health & Wellbeing Show, Talking Lifestyle about Top Tips on how to vary your lunch. 10 February 2017. Fiona chatted to Ed and Kim on Living Fresh, Talking Lifestyle about the Mediterranean Diet. 19 January 2017. Fiona chatted to Verity Hughes from Triple M’s Breakfast Show on why Calorie Counting doesn’t work, particularly in cases of Emotional Eating. 9 January 2017. Fiona chatted to Harvey Deegan on 6PR 882 Afternoons about Combating the Cake Culture (do we need to)? 13 December 2016. Fiona’s chatted about lifestyle and nutritional factors that effect your relationship – energy, libido and mood…… on Talking Relationships, Talking Lifestyle with David Prior and Melissa Ferrari. 26 November 2016. Fiona chatted to Darren de Mello on 6PR 882 Weekend Wake-up about sugar, sugar tax and energy drinks/caffeine. 12 November 2016. 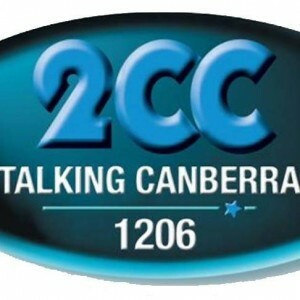 Fiona chatted to Rod Henshaw on the Weekend Magazine at 2CC Talking Canberra radio about summer is the easiest time for healthy eating. 1 October 2016. Fiona chatted to Darren de Mello on 6PR 882 Weekend Wake-up about the term Everything in Moderation and what is really means as well as health effects of stress, inflammation and sleep issues. 23 October 2013. Voice of Russia UK. Fiona was interviewed along with Dr Aseem Malhotra, Cardiologist about a recent British Medical Journal Article on saturated fat. Nutritional Medicine Practitioner Fiona Kane and Cultural Activist Ian Zammit co-host Happy and Healthy: the podcast for people keen to live happier and healthier lives! Follow our podcast on Facebook. In the premiere episode of the series, which is streaming on demand below, Fiona and Ian open the conversation by discussing “Embrace”, the documentary of Australian former body-builder Taryn Brumfitt’s experiences with body-shaming and living a happy life. The main conversation is a second documentary, The Big Fat Fix, which focuses on film-makers Donal O’Neil and Dr Aseem Malhotra’s discoveries around the health benefits of natural fats. Following the film-makers’ journey to Italy, Fiona and Ian discuss the importance of fats found in a traditional Mediterranean lifestyle, and what changes we can make to our lifestyle to gain these benefits. Kicking off our second podcast with The Latest, Fiona & Ian discussed Sugar by Half, who promote action to protect current and future generations from the health dangers of added sugar. This initiative was started by Prof Peter Brukner who is specialist sports and exercise physician currently working with the Australian cricket team and a team of other health professionals. Shane Watson, Aussie Cricketer is a big supporter of this initiative. The Topic for this podcast is the documentary film What’s With Wheat. Fiona and Ian discuss wheat and gluten and some of the health issues that are now being linked to their consumption. We also look at why wheat has become such a big issue today, and what are some of the changes that have occurred including changes to the plant, what monocultures are, the addition of chemicals and the effects on our microbiome. The topic for Happy and Healthy’s third podcast is Happiness and what we can do to achieve it. Ian and Fiona start by discussing how nutrition and certain foods influence our mood, then they discuss movement/exercise and how it works as stress relief and overall supports your mind and body. They then move onto talking about good relationships and good friendships an how important they are for happiness. After that Ian and Fiona discuss one of Fiona’s favourite topics, the power of gratitude. Gratitude allows what you have to be enough, it also helps you to sleep better and feel happier. Lastly they talk about having fun, doing things that make you laugh and make you smile which is so essential to relax and reduce stress!